No matter what industry you’re in, don’t sign on the dotted line before reading this. This is how to negotiate a job offer at your level. As you gear up to interview for an executive role, don’t let a shot at that coveted corner office throw you off your game. You need to know how to negotiate a job offer at your level. Beyond salary requirements, there are several things you might not have considered, but that are definitely up for grabs. 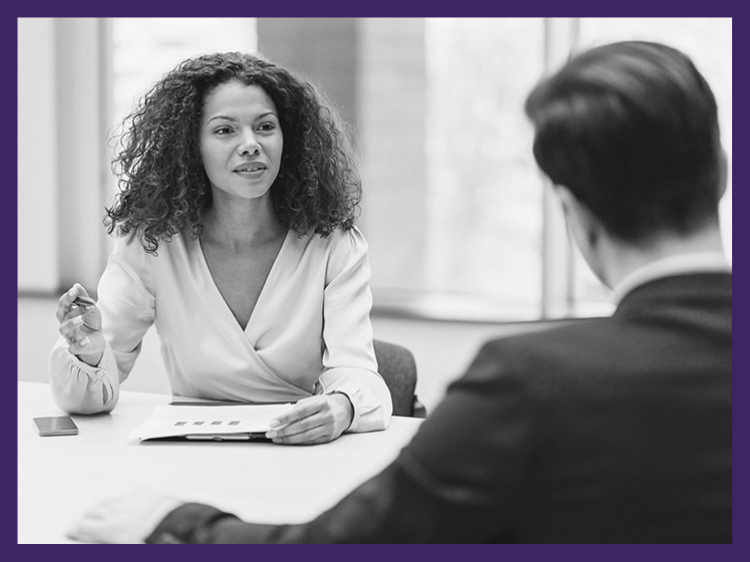 If you’re a first-time executive, get ready for the negotiation talks to become longer and more detailed than previous conversations you’ve had about salaries and start dates. While employers expect all candidates to negotiate every job offer, at the executive level, they expect you to get especially detailed about each provision. The following are five areas you must cover in your talks. Similar to any successful negotiation, when all discussions are completed, your job offer should include all of the provisions in writing. Obviously, salary requirements are going to be top of mind. But think beyond your paycheck. Show me the money…and also the stock options, sign-on bonus, and guaranteed minimum annual incentives. Your focus during salary talks should begin with base compensation. Do your due diligence in researching what others are earning at your level, and aim for at least a 20% increase of your current compensation. Next, talk about a sign-on bonus to be paid within 90 days of your start date. As a former corporate recruiter, I’ve seen sign-on bonuses for executive roles get paid in the vicinity of $50,000—higher than the base compensation for some of the other roles I recruited for! Sweeten the deal by speaking about an annual incentive award with a clause stating there’s a guaranteed minimum amount mentioned in the contract. Your new boss may say the bonus is based on how the company performs and how your performance is evaluated, but you can add a clause saying regardless of the company and your performance, you’ll receive at least $20,000. From here you can speak about stock options, loans to purchase restricted stock, loans to pay taxes and purchase a home and more. Walk the walk, talk the talk and look the part. Every executive needs to look polished and professional to the max, especially when representing the company at client and board meetings. Ask for a stipend, such as $20,000 paid annually, to cover the cost of your wardrobe. You’ll need to properly care for and maintain your suits, so a portion of this amount may be used for dry cleaning bills. Although there’s no tangible compensation attached to your job title, it speaks volumes about your clout in the company. Plus, every job offer you accept is a stepping-stone to your next job—yes, even at the executive level. If you’re being hired at the director level, request that your title be an executive or senior director instead. In another example, a sales director can request to be named regional or national sales director. Get the idea? Think bigger and expand upon the initial title on the job description. Tuition: If you have children, ask about a tuition stipend for them or reimbursement for private school. Ask about tuition reimbursement for yourself, such as an online MBA program, and club membership dues reimbursement. Relocation costs: If you’re moving to another state for the job, inquire about reimbursement of shipment of household goods. If you purchased a new home but haven’t yet sold your old one and have items that need to be put into storage, your prospective employer may cover that cost, as well. In that case, you should also ask about temporary corporate housing until your house is sold. Travel: While you’re in transportation mode, ask about using a company car—either a car provided to you or reimbursement for monthly costs. As far as air travel goes, find out if you’re eligible for first-class plane tickets on business trips. This provision is particularly important if your proposed job offer is at a startup or company with a rocky history or you’re in an industry that is rife with mergers and acquisitions. That said, remember, employers can let you go at will for any reason at any time, so it’s a good idea to have a termination provision included in your job offer regardless of what business you’re in. Ask the hiring manager for a guaranteed severance package written into your actual contract, in case the company lays you off or files Chapter 11. Since this topic is sensitive in nature, approach it with tact and point out that your goal is to stay at the company for the long term. A standard severance package for employees is either one or two weeks for every year of service, plus unpaid PTO and eligibility for COBRA. At the executive level, you should negotiate for at least six months of pay, a payout for unused PTO and COBRA eligibility—as well as a stipend for an executive coach and/or outplacement firm for six months to a year. A job interview is stressful enough without worrying about how to negotiate a job offer when it finally lands in your lap. That's why it's crucial that you do your homework in advance so you know what to ask for when the time comes. Could you use some help staying a step ahead? Join Monster for free today. As a member, you can sign up to get career advice, job search tips, and negotiation strategies sent right to your inbox. From learning what to look for in an offer contract to deciding when to pursue a promotion, you'll have a wealth of expert information at your fingertips. Find executive jobs on Monster. Monster’s career expert Vicki Salemi has more than 15 years of experience in corporate recruiting and HR and is author of Big Career in the Big City. Follow her on Twitter at @vickisalemi.